Flower armor and explosive tails. 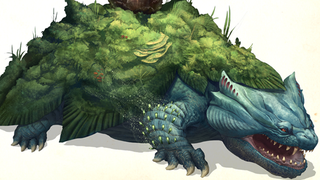 That's a very creative way to redesign Pokémon as giant monsters from the Monster Hunter series. Arvalis on DeviantART likes to make badass-looking Pokémon and this series he recently started looks very cool. Check out arvalis' DeviantART page, there are much larger versions and more pics of redesigned Pokémon over there.